With the holidays almost upon us, I would like to thank faculty and staff for your outstanding effort and commitment over the past year. It has been a very successful fall at the Faculty of Health Professions. In addition to maintaining excellence in teaching and learning, the Faculty launched a number of new initiatives including the Interdisciplinary Health Studies Certificate, the PhD in Health, and the Centre for Transformative Nursing and Health Research and we saw most recently the official opening of our Collaborative Health Education Building. I am especially proud of our Faculty’s contributions, over the past decade, to the design and construction of the CHEB. It certainly proves the saying “If you want to go fast, go alone, and if you want to go far, go together”! I am confident the building, and the interprofessional education it will enable, will help us “go far” in enhancing the educational experiences of our students and impacting the delivery of health care in this province and region. In some ways the building was the easy part—getting the building to work as intended will be more challenging. I am looking forward to 2016 and working with you to start to make the most of this opportunity. 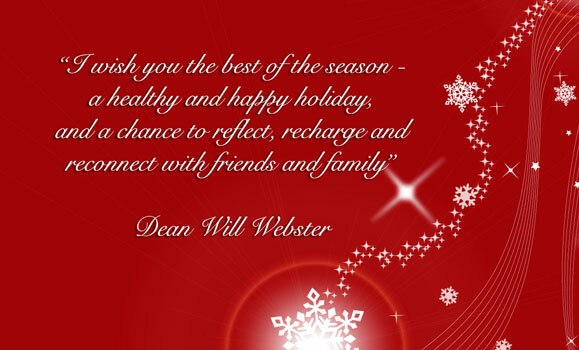 Until then, I wish you the best of the season: a healthy and happy holiday, and a chance to reflect, recharge and reconnect with friends and family.